The newspaper panel – Ellen O’Malley Dunlop, Chairperson of the National Women’s Council of Ireland; Fergus Finlay former, CEO of Barnardos and former spin doctor for the Labour Party; Irene Sands, barrister; Larry Donnelly, Law Lecturer NUI Galway; Eoin Fahy, Chief Economist, KBI Global Investors – discussed the recent failed defamation case which businessman Denis O’Brien took against the publishers of the Sunday Business Post, Post Publications Ltd. The segment took eight minutes. Last Friday, a High Court jury, by a majority, found that articles published by the Sunday Business Post in March 2015 – about a seven-year-old Government-commissioned PwC report – were not defamatory. 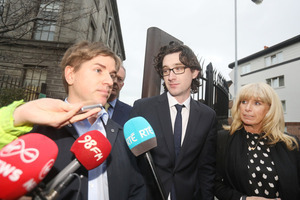 At the outset of the item on the matter, law lecturer at NUI Galway Larry Donnelly said he thought the jury’s verdict was a victory for “rigorous”, “objective” and “critical” journalism. In relation to reports that the costs of the case will amount to €1million – for which Mr O’Brien must pay – Mr Donnelly said this was an “extraordinary” figure, though admittedly not for the billionaire. He also raised an article by Eoin O’Dell in yesterday’s Sunday Business Post in which the Fellow and Associate Professor of law in Trinity College Dublin argued that the case should never even have made it to the High Court under the Defamation Act 2009. Mr O’Dell’s article, Mr Lawlor explained, said the act provides for other means to achieve early resolution of defamation cases. Much concern among the #marian panel about Denis O’Brien’s right to defend his good name. What about my good name and that of @ipkehoe? Look at the damaging allegations Denis O’Brien gave against us using legal privilege without any evidence. CEO of Barnardos Fergus Finlay said he didn’t know Denis O’Brien well but he worked with the businessman briefly some years ago in relation to the Special Olympics and he thinks he’s “done a number of very great things with his money over the years” – a point to which Ms Finucane replied “indeed, yeah” before Mr Finlay said he was especially referring to people with intellectual disabilities and “stuff he [Mr O’Brien] should be really proud of”. She was interrupted by Mr Finlay who said he didn’t realise he was fat and bald until he discovered social media before saying his salary has previously been reported and he said one just has to read the dog’s abuse they get. He even suggested to Ms Finucane that she would understand this. Mr Finlay went on to note that the Sunday Business Post, in yesterday’s paper, listed the 22 legal actions he’s taken against media outlets in the High Court. He said, in the context of this list, his advice for Mr O’Brien would be to “get a life”. 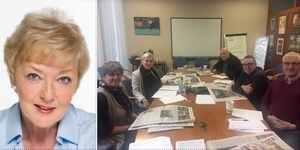 Just before the item wrapped up, Mr Finlay said that had the case against the Sunday Business Post not gone in the newspaper’s favour, “there would have been a real possibility, I suspect, of the Sunday Business Post going to the wall”. But Mr Finlay said if it had happened it could have had serious consequences for media ownership concentration in Ireland. Ms Finucane added that Mr O’Brien is “noted for his generosity…particularly in Haiti”. Last week, when Michael McDowell SC, for the Sunday Business Post, made his closing submission to the jury, he recalled how solicitors acting for Mr O’Brien had initially accused journalist Tom Lyons of criminality and acting illegally by publishing the contents of the PwC report which looked at the top 22 borrowers of six banks at the time of the property crash. Mr McDowell said Mr Lyons was accused by Mr O’Brien of acting with malice and “consciously” deciding to damage Mr O’Brien. The barrister said Mr Lyons and his editor at the time Ian Kehoe had thought about omitting Mr O’Brien’s name from the coverage out of fear of litigation but decided against this in the interests of transparency. Mr McDowell said the SBP refused to take “the RTE approach” – in reference to evidence Mr Lyons gave about being told by RTE not to mention Mr O’Brien when he did a radio interview about his articles back in 2015. The senior counsel also explained that Mr O’Brien initially said he didn’t know if he was one of the top borrowers in the PwC report as he had never seen the report. Mr McDowell said Mr O’Brien said “it’s not beyond Mr Lyons” to just insert Mr O’Brien’s name randomly. But, Mr McDowell said, once an excerpt of the PwC report was presented to the jury – after Mr O’Brien finished giving evidence – Mr O’Brien “changed his tune completely” and identified himself as number 10 on the redacted list of borrowers. Mr McDowell said Mr O’Brien had effectively accused Mr Lyons of perjury and said Mr O’Brien had a “casual relationship with the truth”. The above claims made against Mr Lyons were not recounted during the Marian Finucane discussion. Listen back in full here from 37.50. Posted in Misc and tagged Denis O'Brien, Marian Finucane at 10:17 am on March 4, 2019 by Bodger. Actavo are involved in the Rural Broadband Scheme and the NCH and both are spiralling out of control cost wise. Nothing that DOB does comes in at a cost that benefits the end customer, it always comes in at a cost that lines his pocket best. Stop listening to this show. Don’t give it any of your time. Marian bats for Angela Kerins. Sounds like Marian is terrified of being sued by Sue. What is Finlay thinking when he suggests O’Brien should be put in charge of anything. Does the Moriarty report mean nothing to him? I thought she might have been shilling for a DOBTalk job when she retires from RTE, but she’s 68, past retirement age and still raking in half a mill a year for a few hours work a week. I’m definitely in the wrong public service job! She seems fond of trump also..
Gerald Keane in cahoots with Martin Callinan on her show doing down Maurice McCabe & John Wilson springs to mind. Says a lot about RTE & it’s invited guests. Did the Moriarty tribunal get a mention? I doubt it. I like Marian. She’s a classy lady. she’s an oul hack, millie. the outlaws have her locked in on the radio and when we go up there of a saturday morning i swear she’d put you off a bacon sanger. My attempt at heavy sarcasm did not work. She’s a gowl so she is scottser. I wouldn’t let that aul wan near my rashers so I wouldn’t. You’re dead right. Do not, under any circumstances, ever donate to a charity without checking them out first. I’m not exactly a philanthropist, but I do stick a few bob in shakable tins, buy pins, cards etc but now only for some charities. If the CEO is earning 6 figure multiples then sorry but nope. I heard this as it was broadcast and the sense I got was that Marian/RTE (she was probably getting prompts from a producer) were nervous as hell about being sued. Which is exactly the type of climate that REDACTED has created around any discussion of him at all. While Finlay’s comment about the NCH was over the top, he really was not in any way complementary to DOB in relation to this case and his “get a life” comment was actually the most accurate commentary on the story offered up by the panel, I thought, and also in truth the most cutting. He didn’t come across to me as a DOB shill, and Marian came across as someone being prompted to try to say whatever keeps DOB’s lawyers from the door. That’s not right, but that’s the approach that RTE seem to take. Spot on, as I was listening too and there was a tension in every word uttered on air. The listenership / license fee payers deserve a non-biased and engaging current affairs radio show on both weekend mornings – with expert guests. Unfortunately this is the best of a very bad lot. Fully agree Martco, I know quite a few people who are late 50’s to 60’s who think she is the epitomy of journalism and take her at her word. She is literally fake news and has a few judgements against her show. She literally seems to have no real clue about the external world, comfortable in her highly paid bubble. Another reason I keep running the TV licence inspector. As a person in his late 50s, I find her ‘Hello, there!’ enough to send me screaming from the room. I like to think her core demographic is even older…. I think you’re quite correct. Her listenership is of the quickly reducing group that is of the ‘I. voted FG or FF or Labour’ all my life and will never change’ variety. It’s auite disgusting that she gets that amount of money for a couple of hours work. She gets around 300,000 listeners to her two weekend shows, making her one of RTE’s top radio presenters. What I object to is she gets €300,000 a year from *loss-making* RTE, which is getting all sorts of bailouts from the taxpayer right now including an extra €6 million a year in , arguably illegal state aid from the Dept of Communications and €4m a year from the Dept of Culture to offset the cost of orchestras, all at a time when An Post collected an extra €2m in 2018 because they’re are more households and a growing population. And the BAI says RTE needs an extra €30 million a year “immediately”. With you 100% on that Martco. I’ve a Mother-in-Law who spontaneously converts after hearing this weekend propaganda, it’s taken like gospel. Yesterday was no different; apparently Redacted is a misunderstood genius who only has this country’s interests at heart. She doesn’t do Mass anymore but maybe the habit of being told what to do on a Sunday is hard to break. And you carry on with the ongoing attempts to paint this place in a negative light. Not that its working, if anything, its fun to have a whatabouter on every discussion site. Now, point over there, there, there and there please as instructed. I see. Which cognitive biases would they be then? Do you have specific examples for us or are you just throwing out random insults? It’s quite hard to keep up with ranting, bad tempered children who cannot even verbalize what the issue actually is? there’s obviously a hymn sheet the learn from. Remember on the late late Tubridy cut someone off who was stating DOBs position with pretty much the same language “entitled to defend his good name” .. entitled, and good name kept coming up in Tubridy’s language, as with Finucane in this instance. 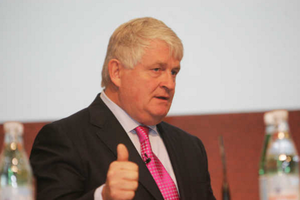 When is Denis O Brien going tweedle-poo off out of the news?! her remarks about people ‘insulting’ him, and he has a right to defend his good name, are straight up wrong anyway. He wasn’t insulted, he was reported on, and accurately. The court agreed. Anyone have a TLDR for the whole saga? the sunday business post reported on who took out Anglo loans and didnt repay. DOB was named as one of them. He found this to be inflamatory. The Courts found it to be accurate journalism. DOB loses. Did Front Line Defenders get a mention? This is the Irish charity founded and chaired by DOB. It champions the rights of, erm, journalists, press freedom and freedom of expression. It is getting millions in donations from the Irish taxpayer via Irish Aid. Maybe Tom Lyons and Ian Kehoe should ask FLD for a donation to compensate them for having to give evidence over three weeks in the DOBvSBP case as neither is still employed by the SBP. Or maybe Leo should tell FLD to fupp off when it comes looking for taxpayer donations. Larry is one of the great opinion piece writers: Politics is a numbers game above everything else. Because it is and because of how difficult the Electoral College maths are for Donald Trump, I am still convinced that Hillary Clinton will tough it out on Tuesday. What good name? [REDACTED] hasn’t got such a thing to defend. All very worthy….But the only agenda is avoiding being sued, and, watching over the shoulder. D O’B is a funder of FG. HOWEVER, the more interesting , IMO, discussion in the segment was the reaction to ‘that woman’s’ piece about her daughter and children’s murder. Pure voyeurism, no criticism of the Indo.